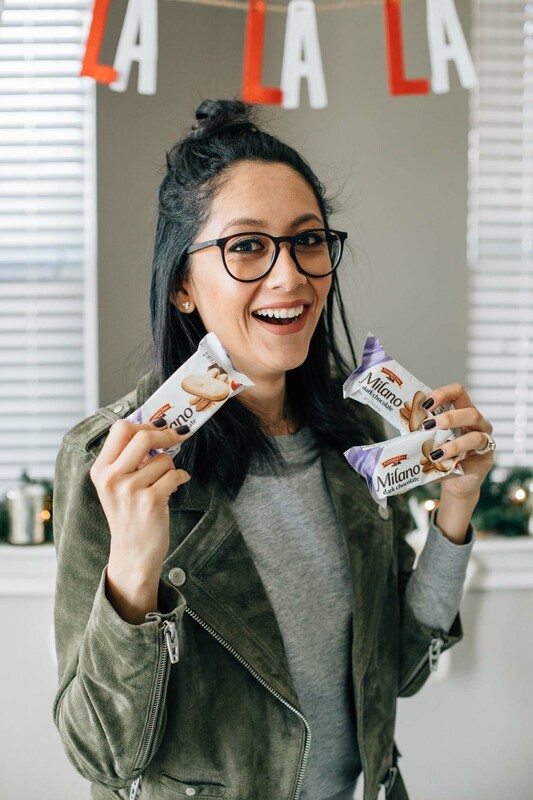 *This post was written in collaboration with Boxed.com. All opinions are 100% my own. Have you ever found yourself going to the store for basic stuff like shampoo, shaving gel etc, and walk out with everything but that? It happens to me every single time, especially now during the holidays. I’ll walk in for razors and walk out with teachers gifts, Christmas decor & even random snacks. With so many people to think about during this time of the year, it is so easy to get distracted while you’re in the store. And forgetting something as basic as razors is not ideal during the time of parties and get togethers lol. 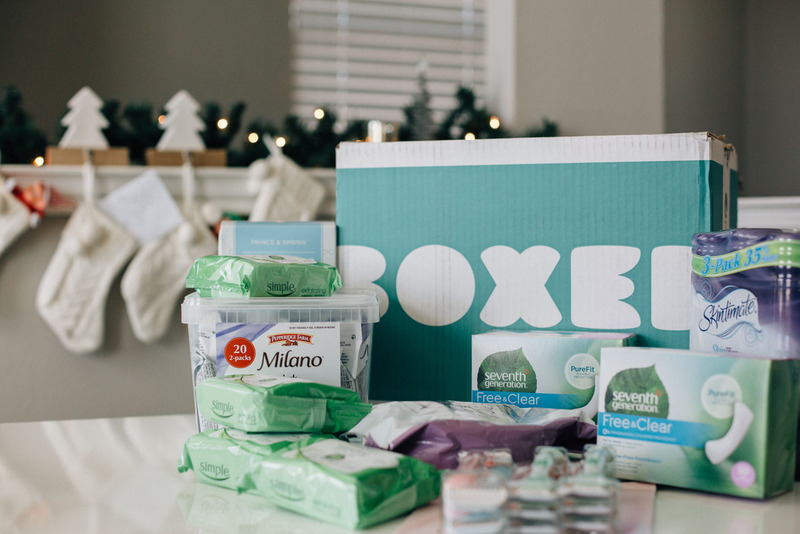 When Boxed reached out with a collaboration opportunity, I instantly knew their service was something I totally needed! 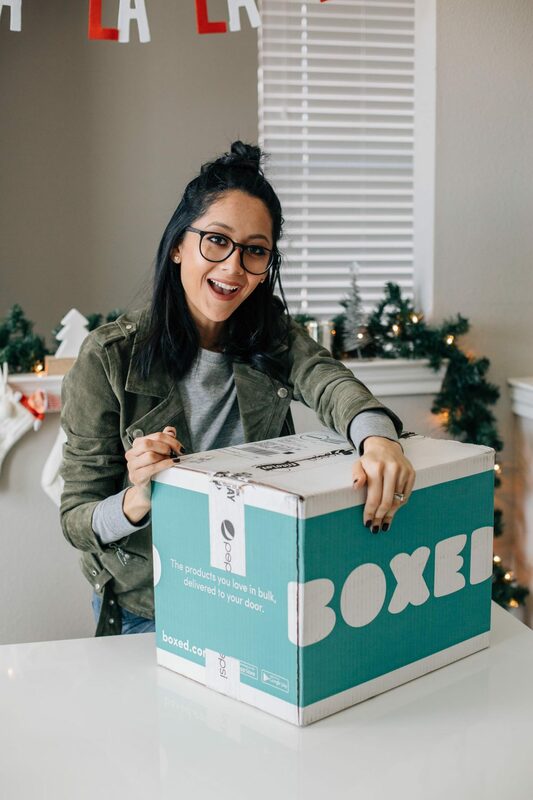 Boxed is an online-only bulk shopping club with no membership fee (yes to no membership fees!). Shipping is free when you spend $49 and orders arrive within a day or two. I received my first box last week and stocked up on razors and shaving cream of course, epsom salt because the holidays can be a tad bit stressful. Facial exfoliating wipes, lens wipes because Evan goes through them like Mason goes through band-aids haha, some lady essentials (if ya know what I mean) and of course my guilty pleasure, a tub full of Pepperridge Farm Milano cookies! Ordering from Boxed was so simple. It took me about 10 minutes to find everything I needed + check out. All from the comfort of my couch while the kids got ready for bed. Plus not having to send Erick to the store for razors and lady products is a true Christmas miracle! At least for him it is haha. Thank you so much for stopping by. Happy Holidays!